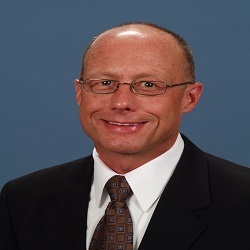 Scott R. Jurek, Vice President and Chief Claim Officer, for Berkley Southeast Insurance Group, a W. R. Berkley Company. I have been with Berkley since June 2013, and helped the BSIG leadership team create and operationalize the company’s strategic and tactical plans. Prior to joining Berkley, I held the following positions: Western Division Sr. Claim Executive for Westfield Insurance; Claim Director for Meridian Insurance; multiple claim management positions at American Family Insurance; and I began my career with 20th Century Insurance. My career in the world of Claims spans more than three decades working with different Commercial and Personal P&C business models including direct writers; captive and independent agencies; mutual companies; and small and large stock companies. I attended De Paul University in Chicago and graduated from Western Illinois University. I also pursued insurance industry course work and attained the Senior Claim Law Associate and Associate in Management designations, as well as a Lean Six Sigma black belt designation. I grew up in the Chicago area where I met my wife, Margaret. I have lived and worked on the West Coast, in the Midwest, and in the Southeast. Our family lived the longest in Carmel, Indiana, and our two sons graduated from Indiana University, so it is fair to call me a Hoosier. I have an affinity with music and have composed and arranged dozens of pieces.